A cord detangler prevents the cord from getting tangled or kinked, which can lead to cords cracking and needing replacement, as well as the annoyance of a constantly tangled cord. Plug this cord connector into any standard phone. Cord detangler allows freedom of full movement. 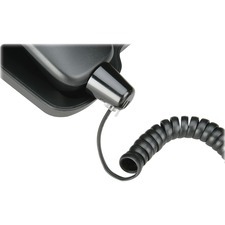 When attached to the handset, it automatically rotates with the telephone handset. Cord detangler universally fits all desk or wall-mounted phones.